Is The Sportstech SX400 Speedbike Smart Enough For The Price? There are some nice aspects to the technical specification of the Sportstech SX400 Indoor Cycle to mention right off the bat. There is a heavy 22kg flywheel, step-free resistance, a series of training programs and compact 54kg build with transport wheel. Here, these features are some of the basics rather than key selling points. There is additional software and features to enhance the experience further. So, what is it about this indoor bike that, apparently, puts it ahead of the competition? 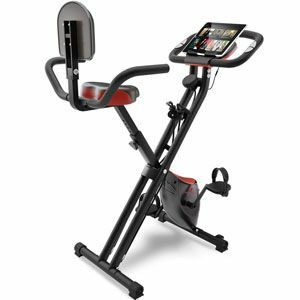 Is The Sportstech Exercise Bike ESX500 As Smart As It Sounds? Bikes like this Sportstech ESX500 Exercise Bike appeal to users because of the focus in the specification on smart, technological elements. With this model, the unique selling point appears to be the smartphone-controlled app. This app should increase the functionality of the product and help keep users interested. 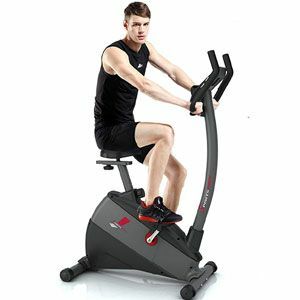 It should also marry together with the resistance system, strong belt drive and other features for an advantageous workout. Is this the case, or could this machine do more? Is The Inviting Sportstech F-Bike X100 Able To Provide A Good Workout? Some X-frame folding bikes don’t always look that substantial or stylish, but the Sportstech F-Bike X100 definitely bucks that trend. This German engineered exercise bike has a seat with armrests and backrest, and battery-operated console and a strong frame. There are also some nice details in the shape of the frame, the ergonomics of the seat and the red accents. This looks inviting for those that want to push their fitness goals. But, does it have the tools on board for the right results? Is The Sportstech SX500 Professional Indoor Cycle Too Complex? The specification for the Sportstech SX500 Indoor Cycle can look a little overwhelming on first impressions. 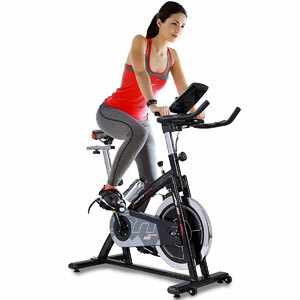 There are some indoor spinning bikes that will focus on one key aspect. This may be the intensity of the workout, the comfort features for an at-home experience or the smart tech in the console. Instead, Sportstech seems to want to tick every single box at once. This means that there is a lot to catch the eye of buyers, but does it all lead to a bike machine that people want to use? Does The Dual Function Of The Sportstech X100 F-Bike Suit Users? Many exercise machines have one key feature that makes them stand out from the crowd, but the Sportstech X100 F-Bike goes much further with its odd design. It is difficult to know where to look first with this bike. Some people will be drawn to the comfortable looking seat with its armrests and back rest. Others will be curious about the large, tablet-style console. Then there are the resistance bands tucked into the folding frame. 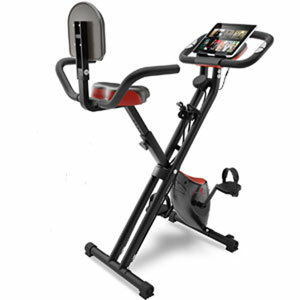 This clearly isn’t your average exercise bike, but can it offer a great workout? Is The Sportstech SX200 Professional Indoor Cycle Intense Enough? The Sportstech SX200 Professional Indoor Cycle definitely looks like the sort of machine you would find in a spinning class. The product is dominated by the compact frame and large 22kg flywheel. The idea here is that this flywheel, the resistance system, pulse sensor and control should combine to help users with their fitness goals. The company seem to have thrown enough features at this indoor spin bike to draw people in, but are they impressed?